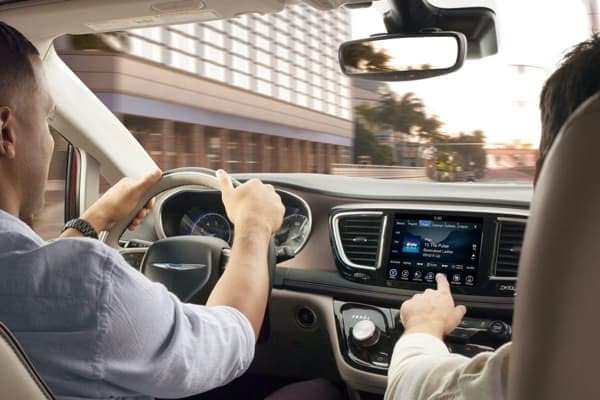 The latest update to our lineup at Daytona Dodge includes the 4th Generation of the Uconnect 8.4 Touchscreen on vehicles like the Chrysler Pacifica, which includes Android Auto and Apple CarPlay. Whether your first thought is to ask Siri for help or you’re just getting used to a smartphone, Android Auto and Apple CarPlay are designed to bring the convenience of your phone to the dash of your vehicle – letting you stay connected while keeping your eyes on the road. Remind you of your upcoming meetings, synched with Google Calendar. Navigate you to home, work, or other destinations tied to your Google account. Text anyone in your contacts with voice-to-speech technology. Automatically play audio: your favorite album, playlist, podcast, or audiobook. Not only can you find Android Auto now on select Chrysler, Jeep, Dodge, Ram, and FIAT vehicles, but you can get a feel for it right now on your Android device. The Android Auto app for your phone brings the convenient, handsfree functionality to your current ride until you’re in a place to upgrade to a brand new vehicle at Daytona Dodge. If you’re like us, it’s tough to go too long without checking your iPhone, and now you won’t have to. New Chrysler, Jeep, Dodge, Ram, and FIAT vehicles are equipped with Apple CarPlay to bring the iPhone, the App Store, and the Apple experience to the dash of your vehicle. Apple CarPlay is now found on over 200 different models, and you’ll find many of them here at Daytona Dodge. 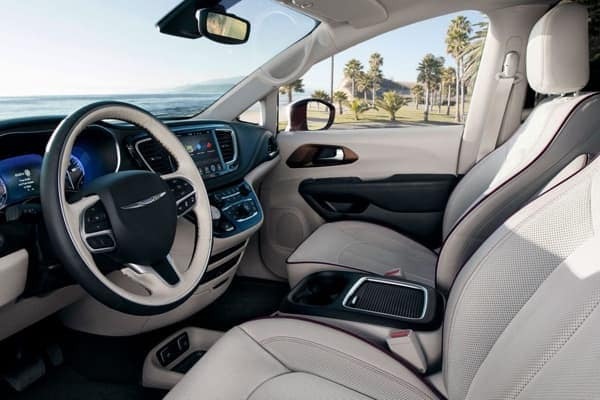 Still have questions or want to see how easy it is to use these new features and how they can apply to staying safe in your Chrysler Pacifica? Contact our team today and we’ll set up a test drive or a demo for you.